The outside work also tends to bump up my home costs during the summer. However that is budgeted for the year. I do not look at it as money lost because it improves the curb appeal of the house for when we sell. I was reading some article that explained that your house will sell faster as the outside is the first thing potential buyers see. This makes sense as it is a reflection of how well you take care of the house in general. This month there was a large jump in health related expenses. This was due to me being diagnosed with scoliosis. I guess I have always had it and my back problems were getting worse. I am seeing a chiropractor and the results are great. Since I am writing this in July most of my pain is gone. Now he is just straightening me out and helping me strengthen my core. Unfortunately since I have an HSA all of that has been out of pocket since my deductible is very high. 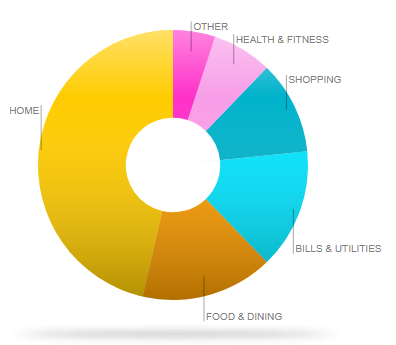 Shopping looks a bit high in the pie graph doesn't it? 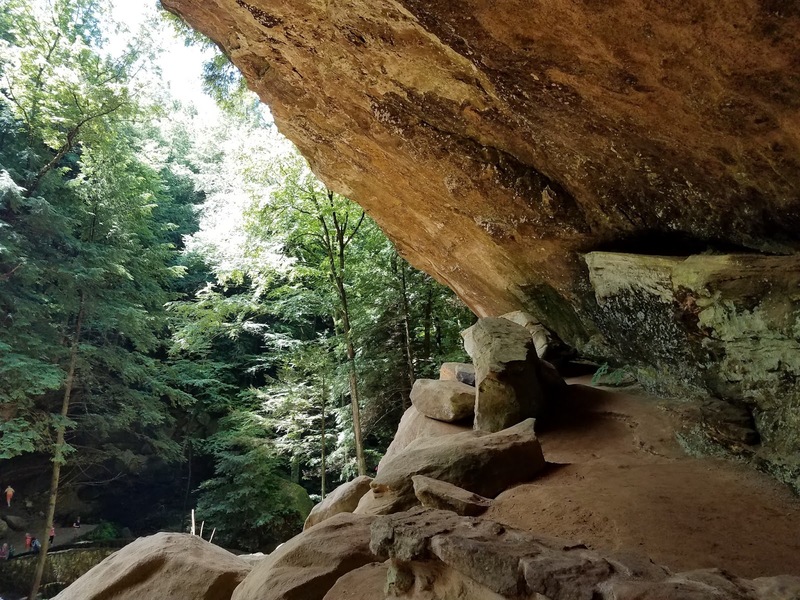 We invested in some high quality hiking boots for our trip to Hocking Hills State Park in Ohio. This was an awesome vacation and we hiked every day. Some of the other shopping related expenses were kids clothing shopping for the upcoming school year. Overall it was another good month. Income was way up (another article on that forth coming). My spending was up as well but still came in at 97% of my normal monthly income. That means I incurred no additional debt nor did I have to dip into any savings. Totaling it up my frugal exercises let me save 51% of my total income for the month. About 40% of the savings were invested and then rest swept into my savings accounts. I hope your June was great and I look forward to hearing about your June as well. Fantastic month for you. Keep up the good work! After ignoring my expenses for a while, I started to keep track of them while I was travelling during a year. I'm now back for about 2 weeks at home and kept this habit. I hope I'll be able to control my expenses and make them smaller each month. Good luck Mike/DivGuy. I switched to Mint this year to keep tracking everything as simple as possible. I still use some spreadsheets though for overall stuff. Congrats on tracking your spending and managing to save over half your salary! Glad to hear that your health problems are being addressed. I know what you mean about the high deductible so now I'm slowly trying to save up enough to cover the maximum out of pocket expenses in my savings account. I'm trying to avoid touching my HSA balance as it's mostly in the stock market. Yep rule of thumb is have enough cash to not have to dip into the HSA. The majority of mine is invested as well.